Getting the right training and qualification is the first step you must take that will lead to a fulfilling and rewarding childcare career! 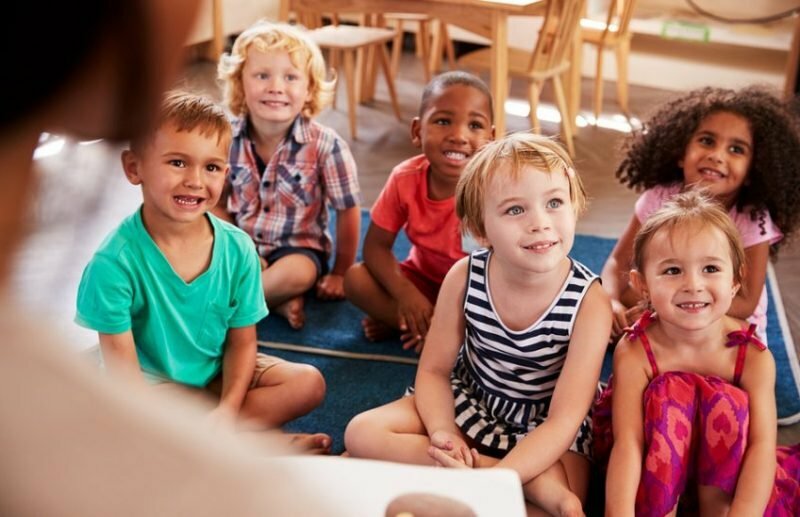 Childcare workers are more than just “minders”; they are educators moulding children through learning, playing, and interacting, while simultaneously playing a critical role in all facets of a child’s development. Their role is crucial, especially for families that rely on them for care of their children while they are at work. Each new day is unlike the previous, and with many children coming and going on different days of the week, there’s certainly no shortage of happy, chatty children to share stories and games with. Here is how just one day may play out for you as a childcare educator. The first 1-2 hours are typically a busy time of the day, as parents scramble to drop their children off at various times throughout the morning. You may have already busily been setting up rooms or specific activities for the day, though this often takes place the night before once the centre has closed. Throughout the morning, you will greet children and communicate with parents. Next, you will check the rosters and find out how many children are booked in that day for specific rooms. This is as easy way to see how many children have already signed in, and find out if you are expecting more for the day. Take particular note of children who require special care or medical attention. Most childcare centres open between 7am and 7:30am. Early shift workers normally finish their day around 4pm-4:30pm. Depending on your role and the roster, you may not always be directly caring for children. Before morning tea, educators encourage children to wash their own hands. You will help children safely take their places and enjoy their snacks. Now is the time for children to grow their independence and enjoy playing and interacting with other children as well as childcare educators. 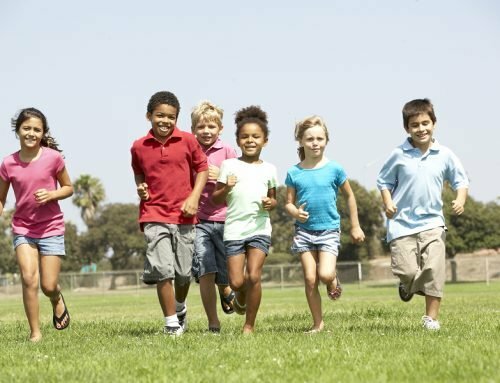 From singing and dancing to story time and free play on the outdoor equipment, this is the time for children to run around and enjoy themselves! Most centres provide lunch while others, sometimes called “lunch box services” require parents to bring lunch and afternoon tea for their children. For younger children (and of course babies), the afternoon signals naptime. Childcare educators ease children into beds and cots, and, along with some relaxing music, help the children doze off. For older children who may not require as long a nap, some workers will take them to another area of the centre to engage in playtime during the second half of naptime. Weather permitting, this is also another opportunity for outdoor play, or it may simply be an opportunity for few children to gather and hear you read a story or sing a song – it’s impossible not to form bonds with these gorgeous children! From 3pm, children are then served a small afternoon tea. At some point in the late afternoon, a different childcare educator may be required to spend some time contributing to the “daily journal”. This is a document recounting stories and memories from the day that is combined with the rest of the days of the week to create the weekly journal. 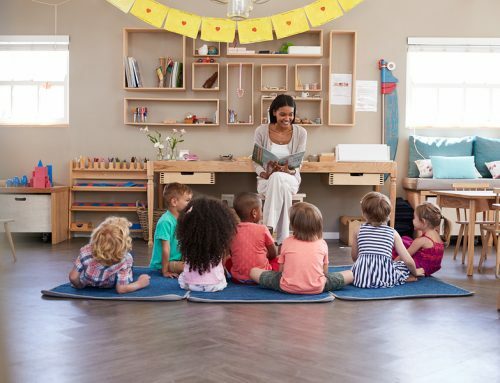 In the journal, an educator typically outlines activities that children engage in, such as arts and crafts which highlights children’s actions, emotions, and responses. This journal is then collated and distributed weekly to parents. Depending on the responsibilities of the parents, children may be collected after their primary school siblings while others remain at the centre until after the typical workday has ended. These activities draw on children’s creativity, thinking, and cognitive skills. The following “behind the scenes” tasks are performed daily (by different people) to help keep the centre running like clockwork! Ready to start your career? Enrol in our childcare courses! 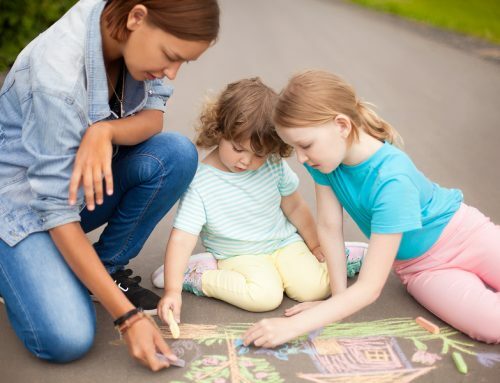 While no two days as a childcare worker may be the same, there’s no denying the affection you receive from children, the bonds you form, the emotions you see, and the stories you hear – day in and day out – make your job one of the most gratifying! Take the first step in your career and enrol in our childcare courses. Not sure which course is right for you? Read this blog post. Ready to go? So are we! Get in touch with Southern Solutions’ career consultants today.